I have made some bookmarks! It has always been my dream to create bookish merch inspired by my hometown, Cebu. And it’s actually quite difficult to find good nerdy stuff here, too, so I kind of took it upon myself to make some bookmarks of my own. There are five designs in total and each of them was so fun to make. I’m so glad that the people who bought these bookish babies loved them as much as I did. 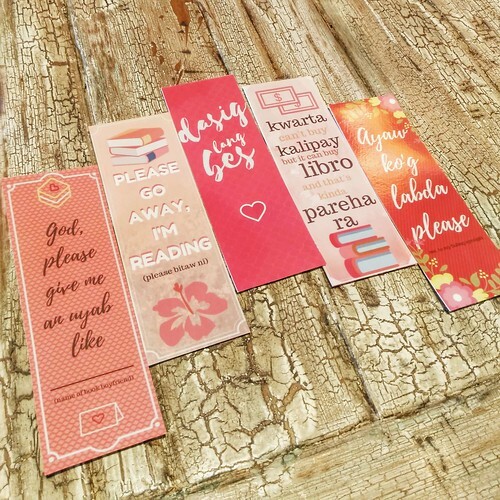 If you’re around Cebu each bookmark is individually sold at Php 25 but you can get the entire set of 5 for just Php100. I can also ship these to ya if you want! Here’s to more bookish merch in the future. I hope I can make better designs next time.